Born: 4 April 1837, Whateley, Massachusetts, United States. Died: 23 March 1919, Wellington, South Africa. Abbie P. Ferguson, educationist, was educated at the Mount Holyoke Female Seminary in Massachusetts (an institution for the higher education of young women, based on Christian principles) where she graduated in 1856. She subsequently obtained the degree Bachelor of Science (ScB) in 1865. For some years she taught at various schools and did missionary work in New Haven, Connecticut. In 1870 she continued her studies in Geneva and Hamburg, but returned to the United States after the death of her mother in October 1871. In response to a request from Reverend Andrew Murray of Wellington, Cape Colony, to the principal of Mount Holyoke for a teacher to open a school in the town, Ferguson arrived at the Cape in November 1873, accompanied by Miss Anna E. Bliss. They opened the Huguenot Seminary at Wellington in January the next year. It had a deeply religious character and soon developed into a flourishing institution. Ferguson also founded the Women's Missionary Union and within five years had trained the first women missionaries at the seminary. Post-matriculation studies for the Bachelor of Arts (BA) degree were started in 1896, and a science department was established the next year. From 1898 the institution was known as Huguenot College. Ferguson remained principal until 1899, when she became the first president of the College untill her retirement in 1910. In 1876 she became one of only 13 persons who provided daily meteorological observations to the Meteorological Commission of the Cape of Good Hope. A summary of her results was published annually in the commission's reports until 1891 (except 1881 and 1887). Ferguson was interested in astronomy and offered a class in the subject at the seminary. She became a personal friend of Dr David Gill*, director of the Royal Observatory, Cape of Good Hope, who often lectured there. In 1882 the institution acquired a telescope with a 150 mm object lens as a present from the Williston Observatory at Mount Holyoke and with Gill's help installed it in an observatory in the grounds. At that time a party of American astronomers, led by Simon Newcombe* of the United States Naval Observatory, came to Wellington to observe the transit of Venus on 6 December 1882 from the seminary grounds. Ferguson and two of her staff, Miss M.E. Cummings and Miss J.N. Brown, also observed and timed the event, with results that are said to have surpassed those obtained by the professionals in accuracy (Ferguson, 1927, pp. 48-49). The names of the three ladies were listed with those of the astronomers, and each was credited with a transit observation. Miss Ferguson was awarded an honorary Master of Arts (MA) degree by Mount Holyoke while on a visit to the United States in 1906, and an honorary Doctor of Literature (D.Litt) degree by the same institution in 1912. 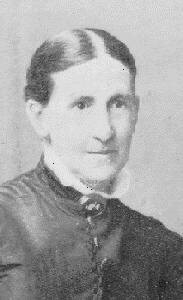 Two Bible studies by her were published in Cape Town in 1908 and 1910. She remained in Wellington for the rest of her life. Cape of Good Hope. Report of the Meteorological Commission, 1876-1891. Ferguson, G.P. The builders of Huguenot. Cape Town: Maskew Miller, 1927. Koorts, W.P. The 1882 transit of Venus: Observations from Wellington, South Africa. Africa. https://www.saao.ac.za/~wpk/tov1882/tovwell.html Retrieved on 29 July 2003.